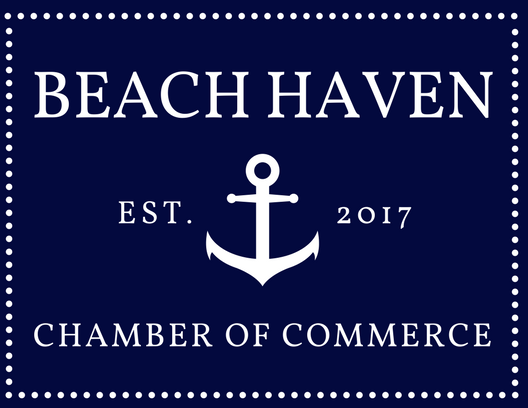 Immaculate, Newly Renovated, Air-conditioned Oceanfront duplex located next to Beach Haven with a stunning view of the ocean. 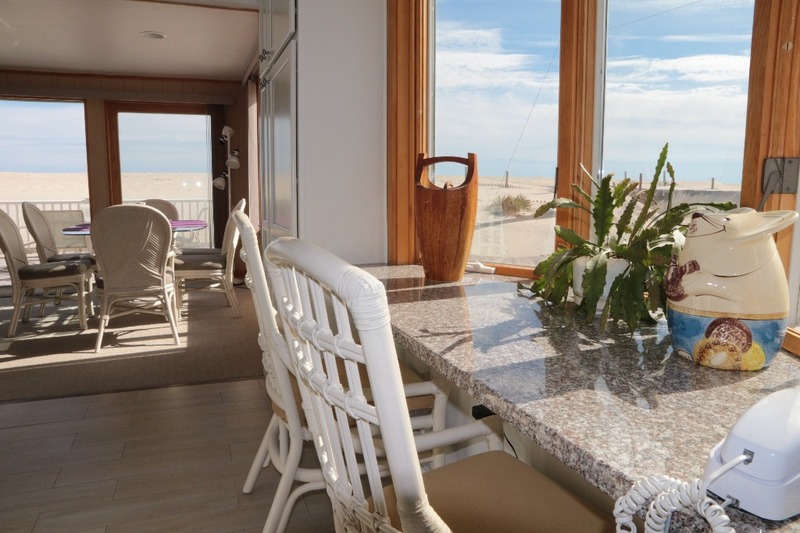 Watch the glorious sunrises and the spectacular ocean views from your own deck, main bedroom and the living room/dining room/kitchen of the upper level unit. 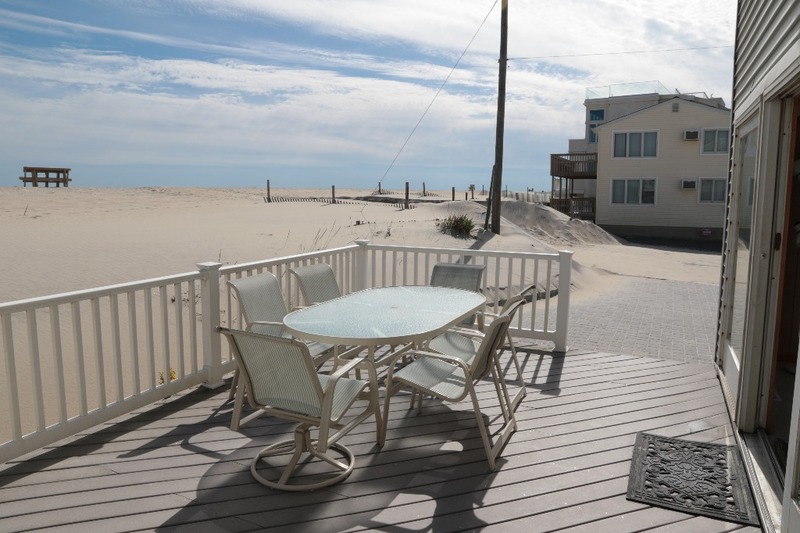 Direct access to the beach. 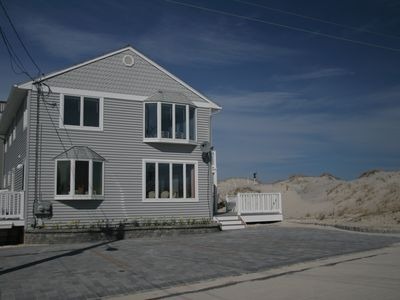 Great swimming, boogieboarding, surfing and fishing just right in front of the house. Convenient location for other activities including cycling, jogging, walking, rollerblading, kayaking, windsurfing. 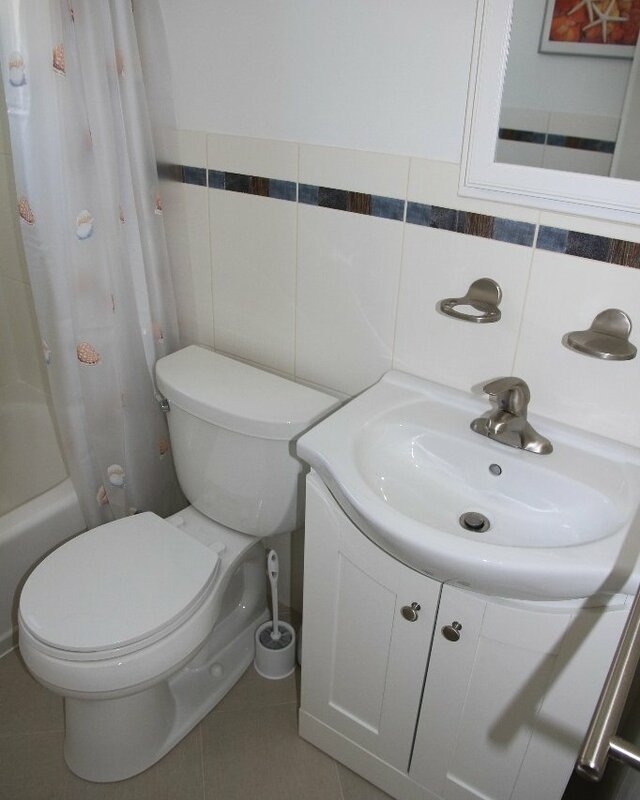 Close and within walking distance to shops, restaurants, miniature golf and amusement park. This Non-Smoking home provides an open and very airy living space. 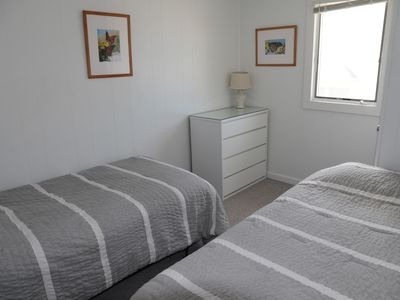 The rooms are very bright and clean. I plan to rent this unit again next year hopefully! My daughter and I stayed in the top unit which had great views! Very clean and spacious for the week stay. Being right on the beach with small children made life easier with not having to take everything to the beach for the day. Street was very quite and nice and the house is near fantasy island for the kids and an abundance of places to eat when its in season. 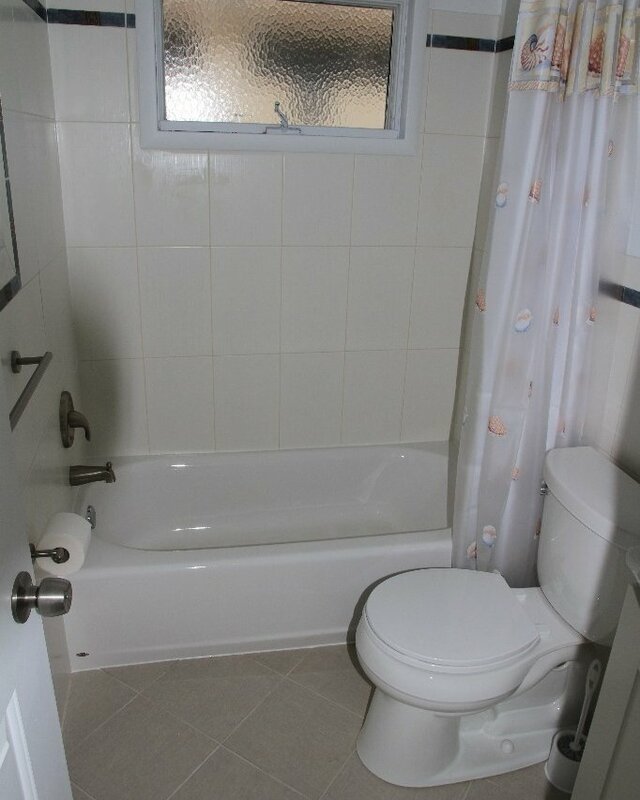 The owners were great when I contacted them about two small things that I noticed with the house and very friendly! This is the fourth time we've stayed at this house, this time with a full crowd and the house is just a pleasure. 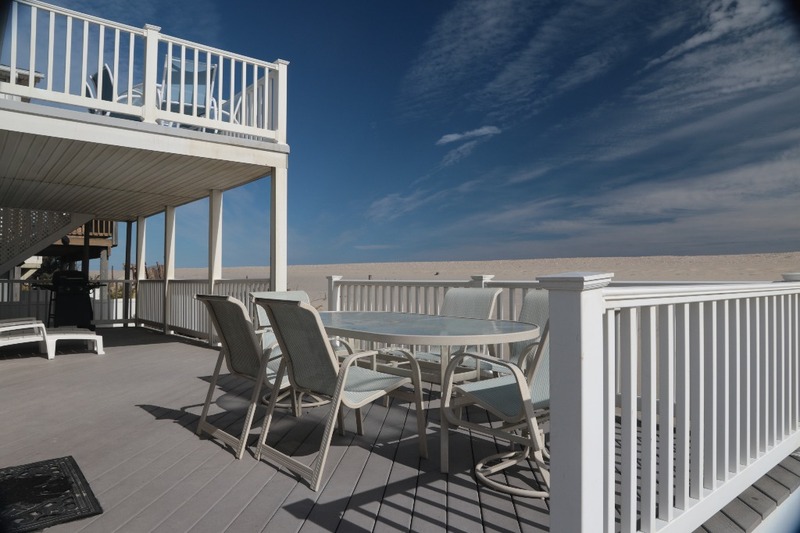 There's plenty of seating, the deck overlooking the ocean is wonderful and the location can't be beat. 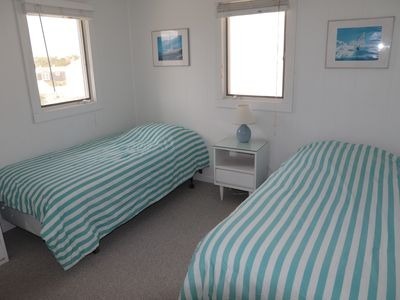 The house is fully equipped and having whole house air conditioning is also nice for those days or nights when the heat is just a bit too much but then again with the windows open the sound of the waves crashing is pretty darn good! We'll be back again next year! We had a great time at the house. 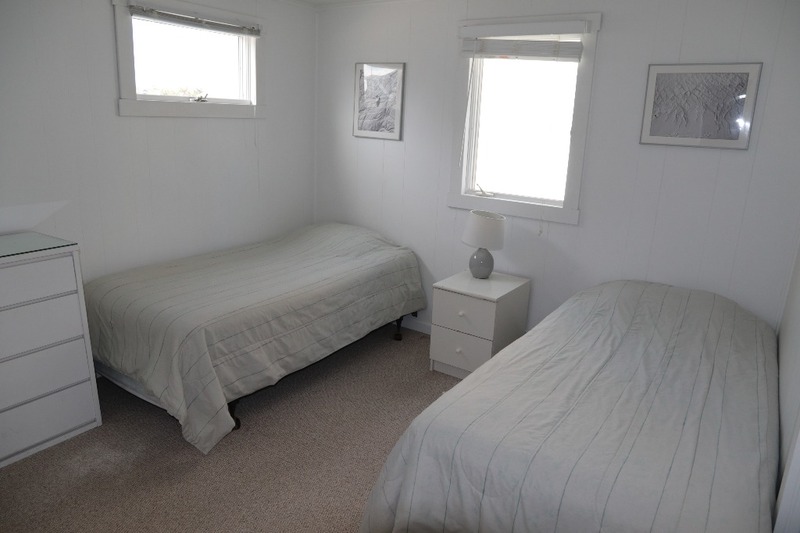 The 3 bedrooms gave plenty of sleeping room for the whole family. The owners were great to work with. Couldn't get any closer to the water. Hope to come back in the future. Recommended for: Families with Young Children, Age 55+, Romantic Getaway, Families with Teenagers. 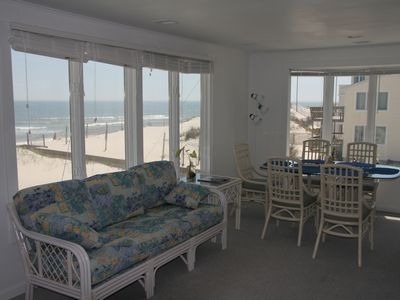 This is a great house, very comfortable and right on the beach. My wife and I stayed for a week in the off season and really enjoyed it even though the weather was not particularly great. The house was spotlessly clean and the owners were very nice, they even let us stay and extra night free of charge. We'll be back again next year! 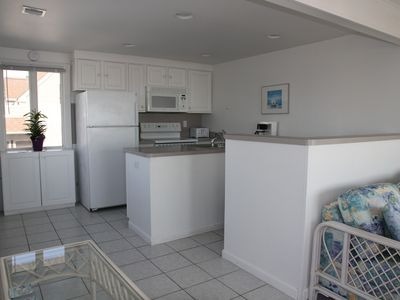 Have been doing VRBO rentals for years but this was the cleanest, best equipted, most delightful one I have ever rented. My only negative is the mattresses are uncomfortable. 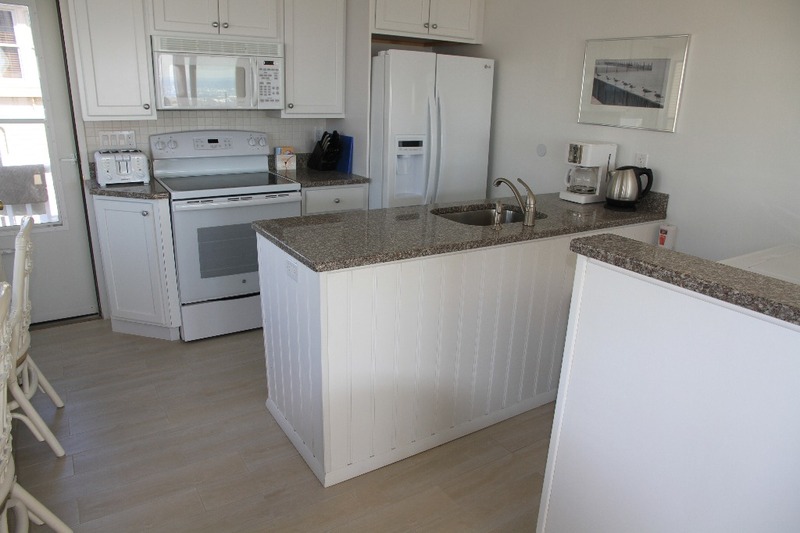 But the dishes, kitchen equipment (even had a blender), washer, dryer, dishwasher, great room style living area, beautiful furniture, deck, and facilities were wonderful! The view is perfect. Beach access is incredible. Landlord is accommodating! Other than the mattresses, a perfect place! Visited with my 4 sisters, age 86 to 66. We all thought this a great value for the money and a great vacation! Some places I have rented left a lot to be desired in kitchen equipment but Corrine has this unit beautifully furnished! Recommended for: Girls Getaway, Age 55+. 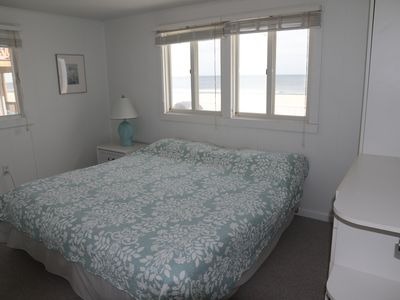 Sleep to the sound of the ocean! 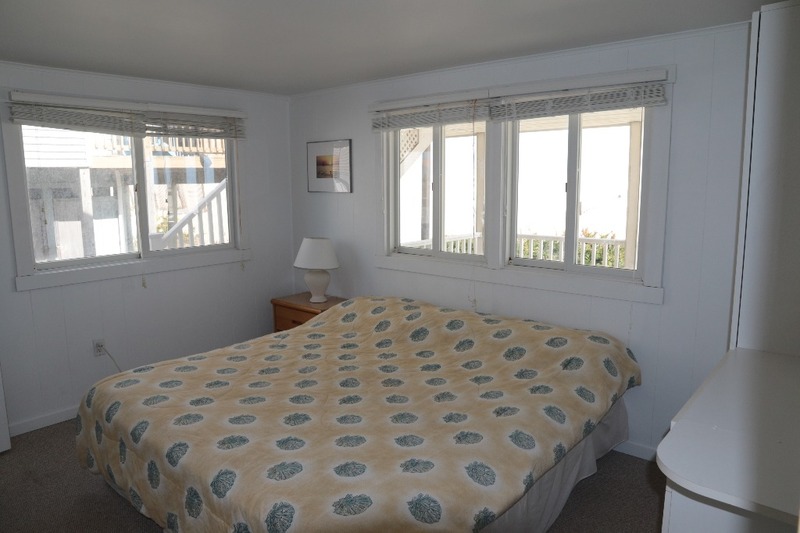 Steps to the beach, sleeping to the sound of the ocean, close enough to walk to the restaurants, close to Bay Village and the center of town. 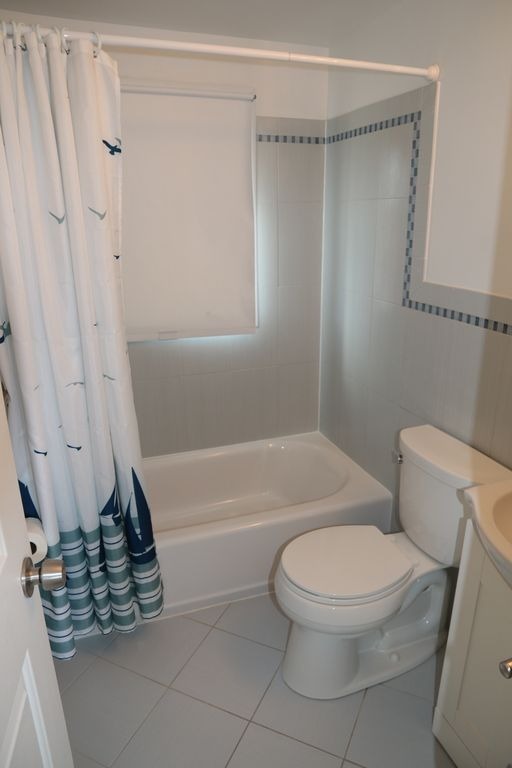 Not a lot of storage/closet space and the bathrooms are small, but serviceable - all else is fantastic. Big living/dining room area where we spent nights eating family style and playing games and watching movies. Big deck to relax while drinking coffee or having an evening cocktail. 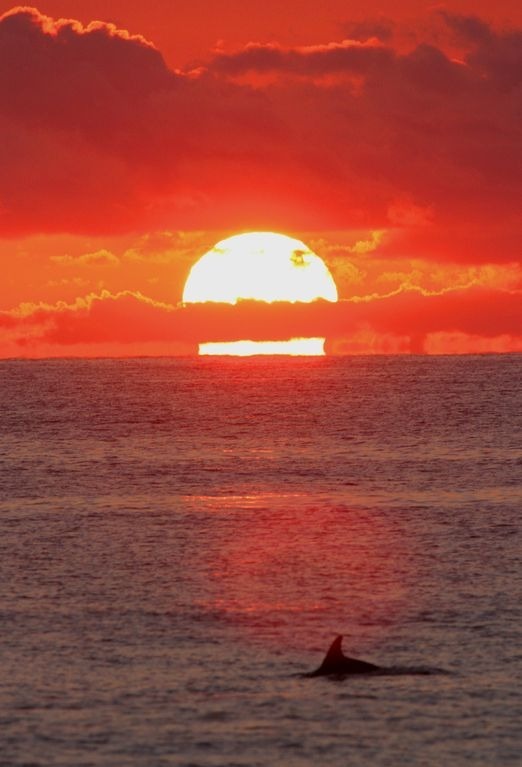 Loved having the beach bench just steps away to watch the sunrise and the dolphins play. It was nice to have things like toilet paper, spices, etc. stocked. The landlords were super friendly, had the place ready for check in right away and stopped by during the week to check on us to make sure everything was ok.
We share this lovely duplex with my parents and siblings. 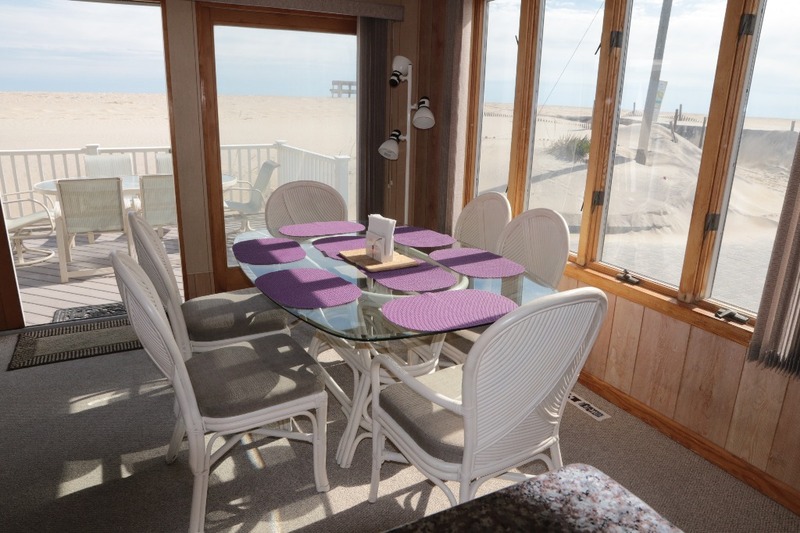 The 3 bdrms and 1 1/2 baths PER UNIT really make it spacious enough for all the kids/cousins/friends/inlaws to come and go in that revolving door NJ Beach Vacation fashion we all know and love. 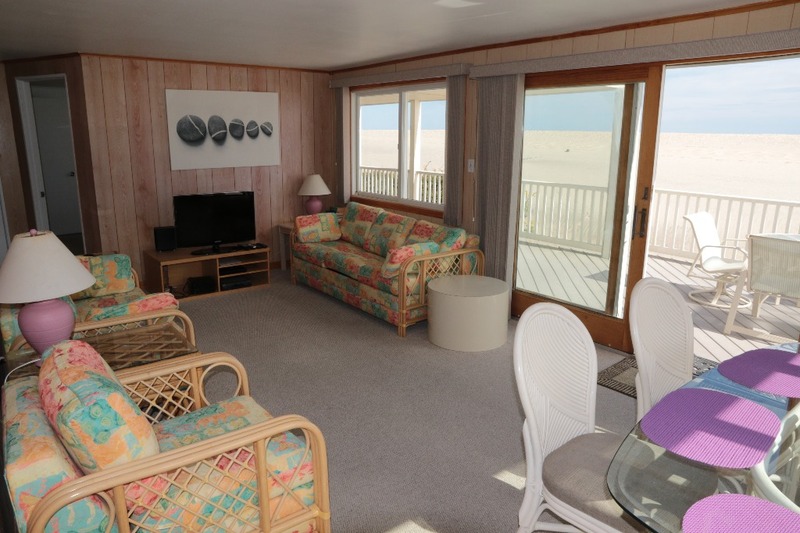 The Central AC never disappoints and the property's location, just steps from the beach, make it perfect for those short young legs, and the older legs as well. The street is quiet, the beach is perfect, the lifeguards take their job seriously and the surf beach is directly adjacent. The sunset on the Bay is a 5 minute walk. Fantasy Island and Bay Village is a short bike ride away for after sundown activities and is a shopping paradise. 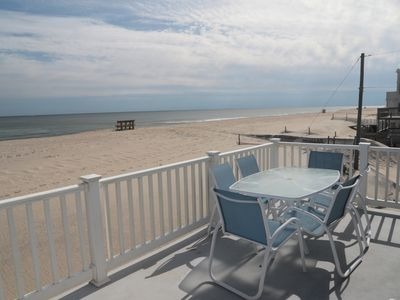 The location of the property, the condition of the amenities and how clean and bright each unit is plus the perfect beach access all combine to make this our family summer vacation year after year. 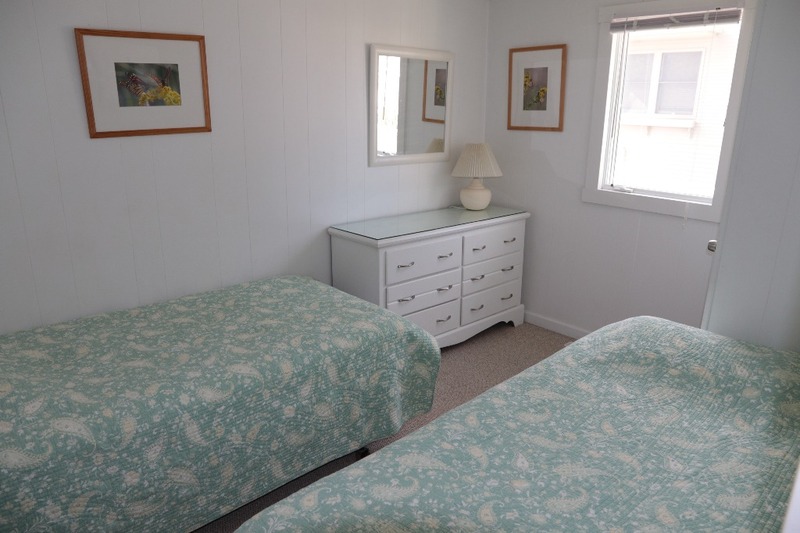 The owners treat their guests and their property incredibly well. You will never want for more staying here. They have done it right. Cheers to Alasdair & Corinne! You guys have brought our family closer together!! "Lovely apt. Really clean, I really appreciate that! 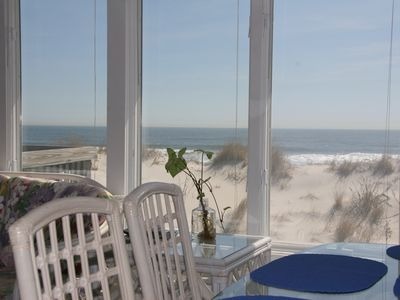 even tho we did not have an ocean view from the deck or living room, the planted dune is lovely. Nicely organized and just enough space for our girls group. Nicely stocked, dish soap, basic spices, toilet paper and paper towels and an amazing flowering plant that decorated the kitchen area. We rent every year and would love to come again. The apt owners were kind and did their best to make our stay the best it could be. Recommended for: Families with Young Children, Girls Getaway, Romantic Getaway. 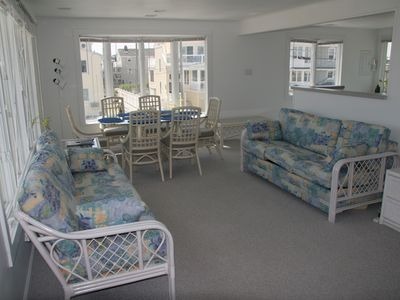 We had a lovely stay at this duplex- the apartment was very well maintained and had a great view- The owners were very friendly and made sure we had everything we needed- We will surely return! The space was very well kept and clean. We were upstairs and the view was magnificent. Unfortunately, we were only able to stay one night of the three we had booked... and the owners graciously returned one night's stay. Would definitely recommend this rental!